I took a picture of the beautiful roses my hubby gave me for Valentines Day last year, I uploaded it, and cropped out some of the background. The video I watched today showed some neat filters that I had not dabbled with yet. I really like this one, it is the oil painting filter. I look like I actually painted it. I have yet to try my hand at actual oil painting, I keep putting that off. I would rather stick to acrylic and watercolors. I added my business name to it so I could have a profile picture for my facebook page. I think it turned out ok. I have a lot to learn though. 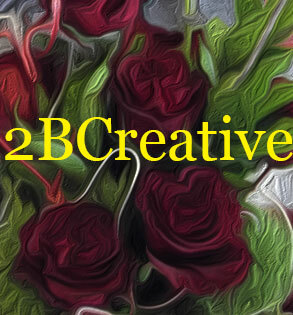 This entry was posted in Art Projects and tagged adobe, art, digital, filter, oil painting, red, roses. Bookmark the permalink. Clever lady. Nicely captured, those roses are beautiful. Thank you, my hubby spoils me with flowers. that’s very pretty, playing with design software is something I would love to do, but always seem to have my freetime booked up with social media ^^ trying to figure the marketing of that.